International Paper is the world’s largest manufacturer of packaging and paper products and is headquartered in Memphis, Tennesse, USA. It produces corrugated packaging, uncoated free sheet papers, packaging for consumer products, and the fluff pulp used in hygiene absorbent products like diapers—everyday items that rely on an ongoing supply of fiber from forests around the world. At International Paper sustainable practices are not only a company commitment, they are a way of doing business that reaches back more than a century. 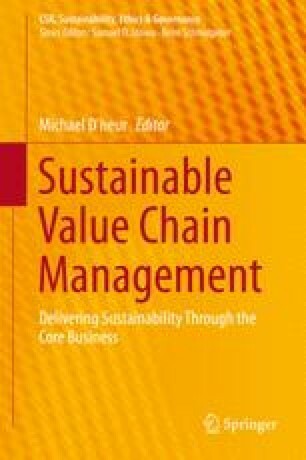 In many ways, sustainability was an International Paper practice before it became a buzzword; its reputation is built upon more than 100 years of doing the right things for the right reasons. At its core, International Paper is a people-focused company, including employees, customers, people that live in communities where it operates, governments, and shareholders. These stakeholders are all part of how International Paper remains committed to ethical operations that demonstrate deliberate, continuous improvements in its societal and environmental footprint. American Forest & Product Association. (2012). National economic impact fact sheet – United States. http://afandpa.org/docs/default-source/default-document-library/click-here.pdf?sfvrsn=0. Accessed 28 May 2014. FAO. (2010). Global forest resources assessment 2010 – Maps and figures. http://www.fao.org/forestry/fra/62219/en/. Accessed 16 May 2014. FAO. (2012). State of the forests. http://www.fao.org/docrep/016/i3010e/i3010e.pdf. Accessed 1 March 2014. FAO. (2014). FAOSTAT. http://faostat3.fao.org/faostat-gateway/go/to/download/F/FO/E. Accessed 27 May 2014. Glaeser, E. (2007). A road map for environmentalism. Boston Globe. http://www.boston.com/news/globe/editorial_opinion/oped/articles/2007/05/21/a_road_map_for_environmentalism/. Accessed 1 March 2014.
International Paper. (2012). 2012 sustainability report – Progress. http://www.internationalpaper.com/documents/EN/Sustainability/IPsustainability.pdf. Accessed 1 March 2014.
International Paper. (2013). Supplier code of conduct. http://www.internationalpaper.com/documents/EN/SupplierDiversity/SCOC.pdf. Accessed 4 April 2014. Pöyry. (2012). World of fibre – Are we heading from era of RCP to a future of virgin pulp? http://www.wpauly.it/wp-content/uploads/2013/01/Poggio+2012-Poyry.sp_.pdf. Accessed 16 May 2014.